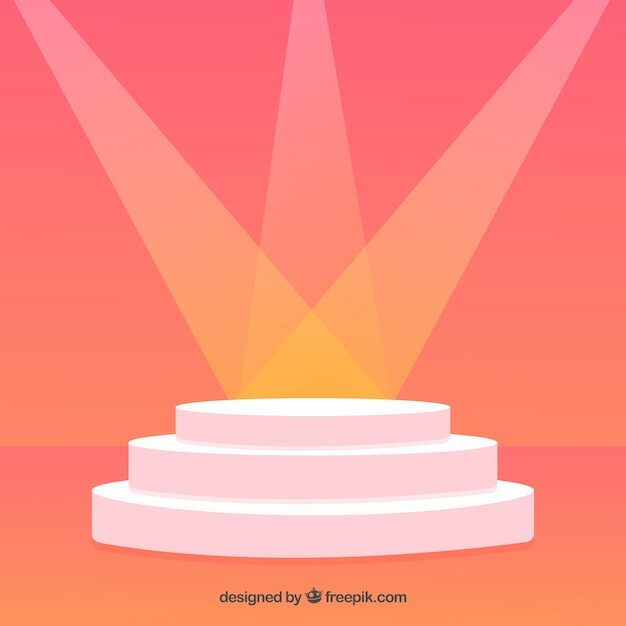 Pedestal for winners - business infographic. Abstract geometry shape pink color podium with white color on pink background for product. Blank product stand with blue wall.